It’s a little crazy around here with only days to go before Christmas! In the midst of wrapping presents, baking potluck cookies, and finishing up some last minute crafting, the day job is filled with final exams and grading! Ahhhhh! So, instead of a post about writing, crafts, or vintage love, how about a little Simon’s Cat chuckle? It’s been a while since I’ve played a blogging game, (they all start to look the same after a while, don’t they? ), but 26 Facts A to Z looked like fun. I spotted it on Paula Acton’s blog and if you want to see her list you can find it here. A- Age: I’m hurdling toward 40, but I feel like I’m still a kid in many respects. I still love Disney movies and coloring. B- Biggest fears: Drowning, someone breaking into the house, and failure. However, snakes literally paralyze me. I have no idea why as snakes have never given me a reason to fear them. C- Current time: 3:19 p.m. It’s a beautiful Sunday afternoon. Clouds are in the sky and it’s a warm 70 degrees. D- Drink you last had: Tall Cafe Mocha – I’m still enjoying it, actually! E- Every day starts with: Feeding my furkids. I’m not allowed sleep past 5:00 a.m. Ever. F- Favourite song: At the moment, I love Life Support by Sam Smith, Coldplay’s new album A Head Full of Dreams, and the soundtrack for Cinderella (the live action version, 2015). G- Ghosts, are they real? : Not sure. Haven’t met one, yet. H- Hometown: That’s a tough question. I’ve lived in a lot of places, so I’ll go with my favorite: Land O’ Lakes, WI. It’s a tiny town in Northern Wisconsin (not the Minnesota town that makes the butter). My best childhood memories live in thick forests and beautiful lakes. J- Jealous of: Anyone with a literary agent. It’s been a long stretch of rejection! However, it’s not a bitter jealousy. K- Killed someone? : I killed a character in my first novel. Does that count? L- Last time you cried: Today. One of my furkids is struggling. He’s elderly and near the end of the line – it’s not easy knowing I’m going to lose him and soon. M- Middle name: Nope. That’s my secret. N- Number of siblings: One younger sister. I love her dearly. O- One wish: At the moment, I just want more time to knit. Of late, it seems life is invading my precious crafting time! P- Person you last called: My mom. Q- Question you’re always asked: Are you ever going to have kids? No. R- Reason to smile: Even with hardship and loss, life is beautiful. I just have to look out the window or give my furkids a hug to know how lucky and happy I am to have this life. S- Song last sung: I don’t sing. Trust me, I’m doing the world a favor. T- Time you woke up: 5:00 a.m. As always. U- Underwear colour: Today, it’s blue. V- Vacation destination: My most recent adventure was in Portland, Oregon. This year, I’m not sure I’ll be going anywhere. My husband is currently in night school, which means someone needs to be home with the furkids. W- Worst habit: Compulsive chocolate eating. It’s wildly out of control and is likely to get worse with Valentine’s Day around the corner. X- X-Rays you’ve had: Just my teeth. I’ve been lucky on the medical front, so far. Y- Your favourite food: Chocolate. Much to my peril, I can’t leave it alone. Z- Zoos visited: Out of Africa, Phoenix Zoo, Chicago Zoo, Payson Petting Zoo (this is barely a zoo, but we had fun). Simon’s Cat is back and he’s playing in the rain. This seriously gave me a much needed smile! As temperatures rise into the 80s, I figured it was time to fill my plant rack with some beautiful flowers. After months of looking at empty pots and a barren patio, it’s so nice go outside and see bright colors! 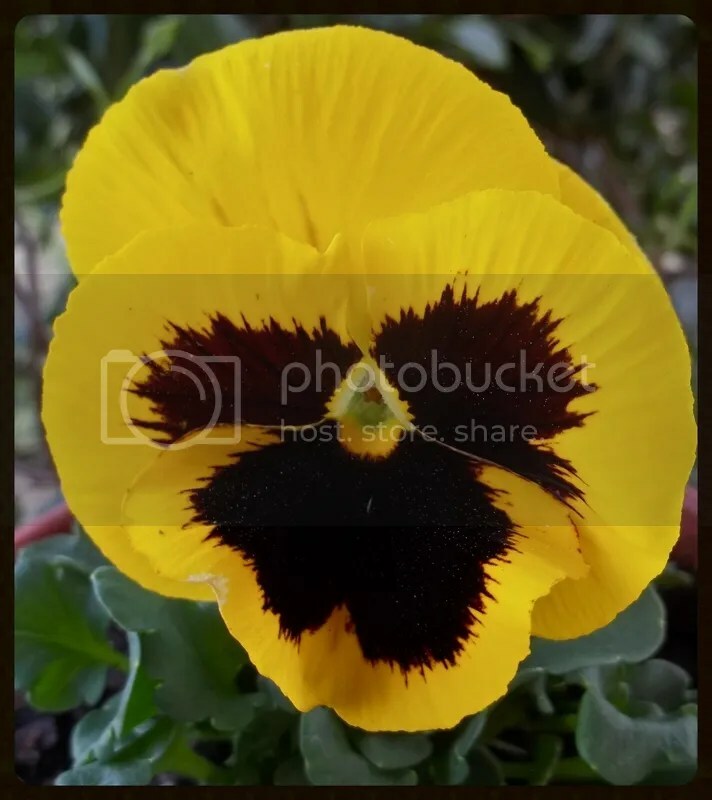 Pansies were among my grandmother’s favorite flowers. She said they looked like little smiling faces, so now that’s the first thing I see when I look at them. 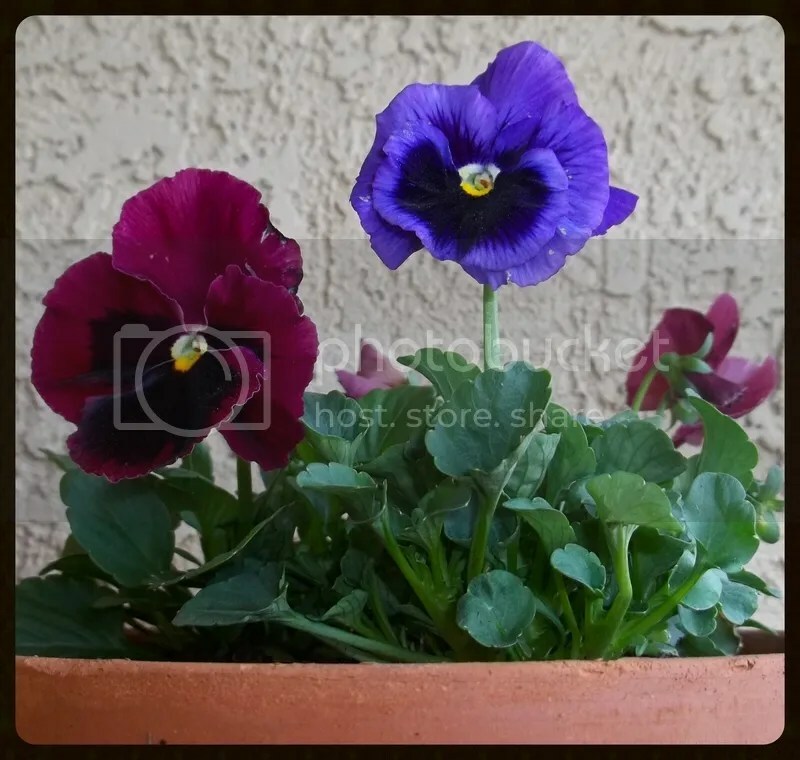 I’d say my new little pansies look pretty happy. 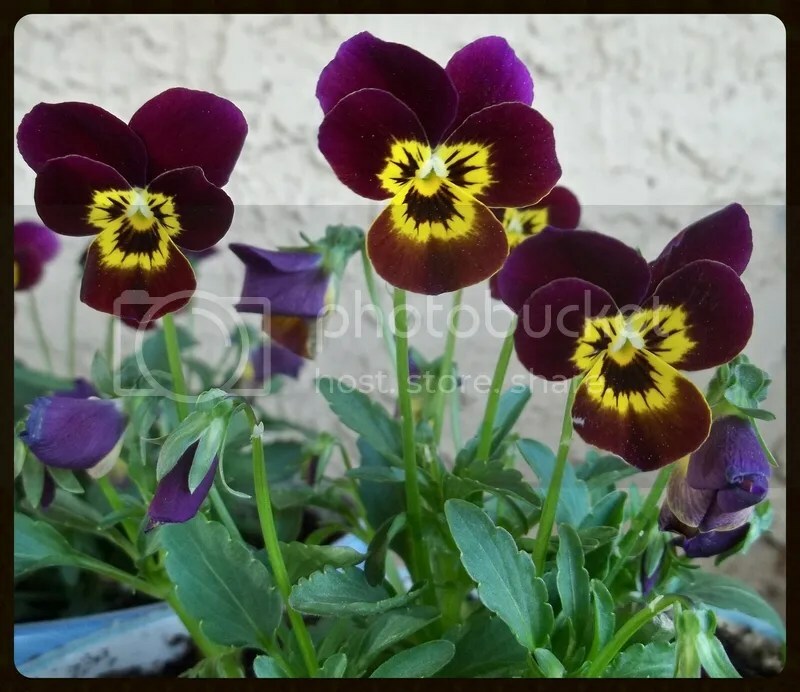 Then, there’s the “mini-pansies,” violas. Or as my grandmother called them, Johnny-Jump-Ups. 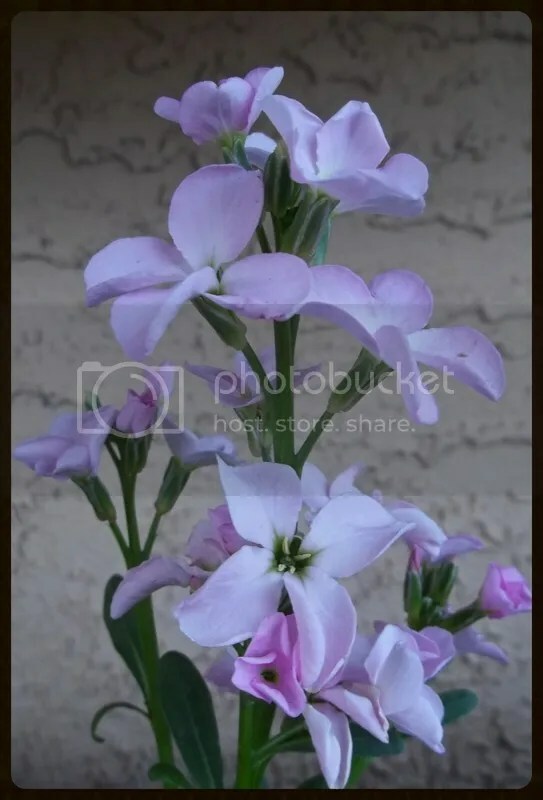 Adding a sweet aroma to the backyard is Stock. These beautiful little flowers will hopefully attract the bees we need to pollinate our citrus trees. 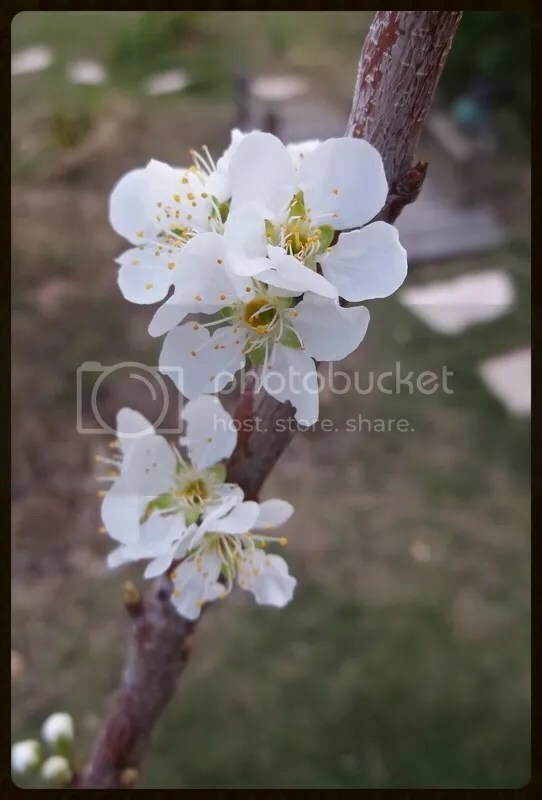 Aside from the plant rack, the plum tree is blooming. For those of you still buried in snow, I hope Spring arrives soon. Until then, I hope my little flowers brightened your day. 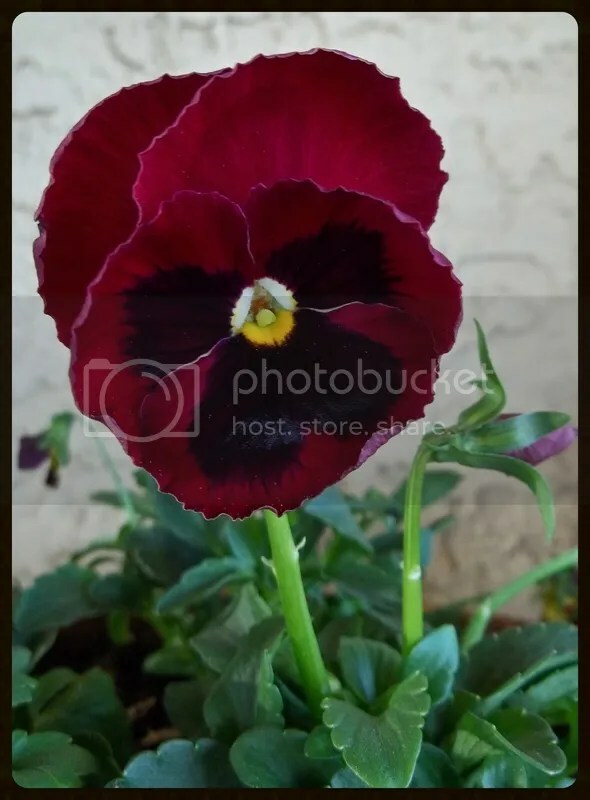 Need some more flowers? Every week I look forward to Friday Flowers on Tropical Territory and Travel. 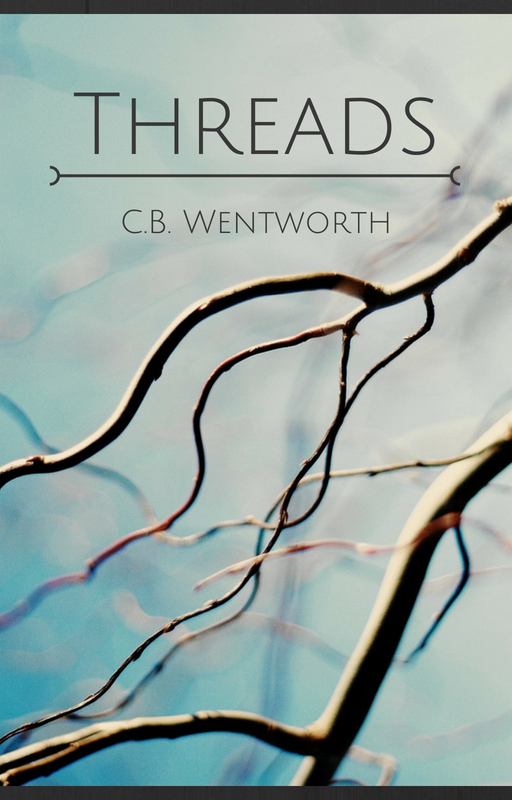 Be sure to stop by this wonderful blog! Earlier this week, a friend of mine posted a picture of an awesome t-shirt of my Facebook timeline. She knows I love a good nerd shirt (see last week’s post) and she just had to share a spectacular find. We’re both introverts, so it’s amazing we ever became friends. And it’s even more amazing that our friendship has continued despite our complete and total social impairment and awkwardness. In many ways, I think our friendship hinges on the fact that we can relate to each other because we share the inability to function in larger groups (or small groups). She gets me and I get her. And boy do we love to laugh about it. So when this t-shirt popped up on her radar she knew I’d love it. And I do. I want it! The problem is the picture was not linked. 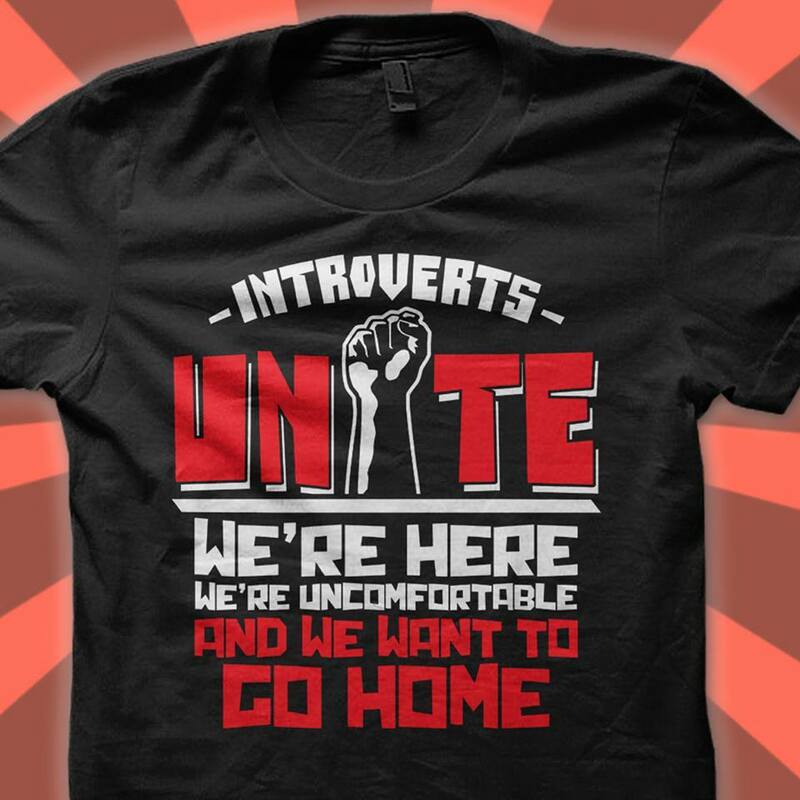 I have no idea where to buy this amazingly awesome introvert nerd shirt! After searching through amazon, google, and cafepress, I’m at a loss. I can find the quote, but I can’t find this particular design. My friend has no idea where she saw it either (she just had a baby, so she’s forgiven). It’s my favorite thing this week and I’d love to add it to my closet, (so I can wear it to the next party or social function I’m forced to attend). Anyone out there know where to buy this shirt? ?